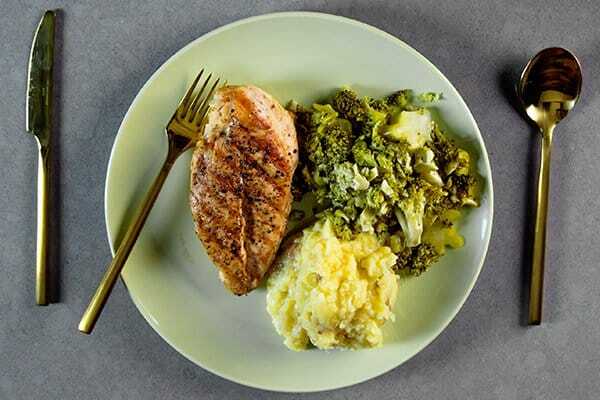 Trifecta Nutrition Review: The Best Meal Delivery Service For Athletes? When it comes to dieting, many people unfortunately fail to stick to the meal plans that have been laid out for them. As a result, they don’t see results and ultimately feel discouraged. 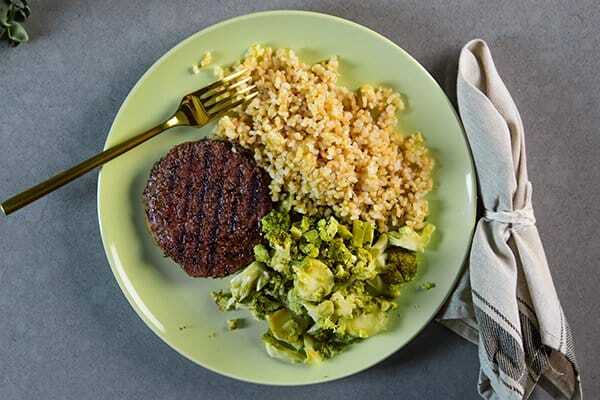 Trifecta aims to put a stop to that vicious cycle with their meal delivery service. Instead of forcing you to do it all on your own, Trifecta is supporting people on their journey to healthy living by delivering fresh meals directly to their doorsteps. It takes the guesswork out of nutritious eating and eliminates the hassle of meal planning and grocery shopping. You no longer have to worry about your diet because Trifecta does all the hard work for you. The company was founded by two siblings, Greg and Elizabeth Connolly. Greg was bored with weekly meal planning. Elizabeth was tired of dealing with frozen meal delivery services that were overpriced. So, together they created Trifecta to bring people organic, nutritious, and delicious meals that everyone can enjoy. There’s no need to struggle with healthy eating when you have Trifecta on your side. To get started with Trifecta, you’ll first have the task of choosing which meal plan you’d like to order. They have a few options to choose from, which include: Paleo, Clean Eating, Classic Meals, Vegetarian, and Vegan. No matter which one you choose, you’re guaranteed to get fresh, healthy, and organic meals. With the Paleo plan, you can expect to receive dishes that contain meat, fish, vegetables, and fruit. All of the meals exclude grains and legumes. On the Clean Eating plan, you’ll find meat, fish, healthy complex carbs, fruits, and vegetables. 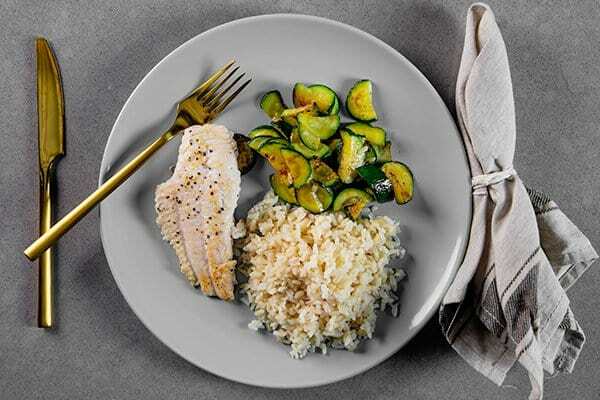 With the Classic plan, you’ll dine on meat, fish, sweet potatoes, rice, and mixed vegetables. The Vegetarian and Vegan plans will provide you with plenty of beans, legumes, healthy complex carbs, fruits, and veggies. While the Vegetarian plan excludes meat and seafood, the Vegan plan will also exclude eggs and any other animal products. Once you’ve chosen your desired meal plan, the next step is to decide how many meals you’d like to have each day. You can choose between one, two, three, or four meals per day. This allows you to have some flexibility if you’d also like to cook your own meals in between eating the Trifecta meals. They recommend choosing three meals a day for the average eater. The option of four meals per day is suited towards athletes or bodybuilders who exercise daily and are looking to add body mass. It’s important to note that the menu changes each week, just like it would with any other meal delivery service. They use whatever fresh ingredients they’re able to obtain from the farmers they work with, which means they have to adjust the menu accordingly. Even though dishes are changed regularly, you’ll still have plenty of options to choose from. When you’re going through the checkout process, you’ll have the option to state any food allergies or preferences so they can take those into account when preparing your order. If you’re not interested in signing up for a meal plan, you can also order items a la carte. This allows you to choose exactly what you want and you’re in complete control of how often you order. You can even add a la carte items to your cart when purchasing a meal plan. The flexibility when ordering is a huge advantage since you can always order a few extra things you’d love to have on hand in your kitchen. As mentioned previously, the menu will rotate on a regular basis. Despite these changes, you can always count on Trifecta to provide you with delicious meals that contain only high-quality ingredients. Each meal contains 100% USDA organic ingredients. They’re also non-GMO, gluten-free, dairy-free, and soy-free. With breakfast, lunch, and dinner options, there are plenty of meals to choose from when ordering with Trifecta. For breakfast, you’ll find dishes such as: Asparagus Frittata, Eggplant Frittata, Mango Cream Loaf, Hearty Granola, and Chia Pudding. Having breakfast options is always a plus because it’s not something that all meal delivery services offer. On the lunch menu, you’ll find meals like: Sesame Curry Quinoa Blend with Beef, Baba’s Famous Kidney Bean Chili with Steak, Hamptons Summer “Crab” Cake with Salmon, and Golden Parsley Quinoa with Chicken Tenders. 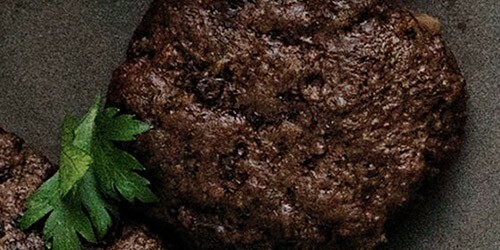 For dinner, you’ll dine on meals such as: Rosemary Mushroom Chicken, Fiesta Cabbage & Beef Patty, Smoky Peppers & Chicken Delight, and Moroccan White Bean Stew with Beef Patty. The above meals are what you can expect to find when signing up for a meal plan with Trifecta. If you choose to go the a la carte route, you’ll find things like various protein (ahi tuna, beef, bison, chicken, etc. ), brown rice, quinoa, sweet potato, a selection of vegetables (asparagus, broccoli, cauliflower, cherry tomatoes, etc. ), muffins, and other items. One of the great things about Trifecta is that they do deliver everywhere in the United States, including Alaska and Hawaii. These two states are often excluded when it comes to meal delivery services, but Trifecta is able to deliver to them. Not only that, but they offer free shipping to every single state. When you sign up for a meal plan, your account is set up for weekly deliveries by default. If weekly deliveries are too much for you, you can always change it by contacting Trifecta. You can choose to do every other week, every third week, or even once a month. Delivery is fully customizable so you can choose whatever best suits your needs. Trifecta orders are only delivered once a week, which takes place on Friday. This means you’ll need to place your order by Friday the week prior to your expected delivery date in order to receive your meals on time. If you need to skip a week, seven days advance notice is also required. There’s also no need to be home in order to receive your order. Each one is delivered by FedEx and they will leave the package on your doorstep if you’re not home to receive it. Because of how the boxes are packaged, you don’t need to worry about anything spoiling before you get back home. Everything will remain cold, but you will want to unpack it and put all your meals into the refrigerator as soon as possible. Trifecta states that their goal is to get to 100% biodegradability. As a result, they use a variety of recyclable packaging for every order they send out. They encourage you to recycle it once you’re all done as well. The cardboard box is made with recyclable materials, so you can choose to use it again, recycle it, or compost it. The plastic trays your food comes in are made from food-grade plastic and they’re 100% recyclable too. Trifecta has been using styrofoam in their packaging, but they’re making the switch to biodegradable corn panels. They’re thoroughly testing the corn panels to make sure they’re suitable for food delivery. And finally, you’ll find ice packs in your box to keep your food nice and cool. These ice packs contain food safe gel and can be re-used. They’re perfect for taking on trips to the grocery store when you need to put cold groceries in a hot car. However, if you’d prefer not to keep and reuse them, you can drain the gel contains and recycle the outer plastic case. When ordering food from a meal delivery service, freshness is a major priority. You want to ensure the food you’re consuming fresh, delicious, and safe to eat. Luckily, you won’t have to worry about that when ordering meals from Trifecta. All of their meals are made with 100% USDA organic ingredients. Fresh and healthy ingredients is their number on priority, so they use only the highest quality available for their dishes. They also purchase as many ingredients as possible from local, family-run suppliers who have sustainable practices. The fruits and vegetables are naturally grown, meats are grass-fed, and the fish are wild-caught. 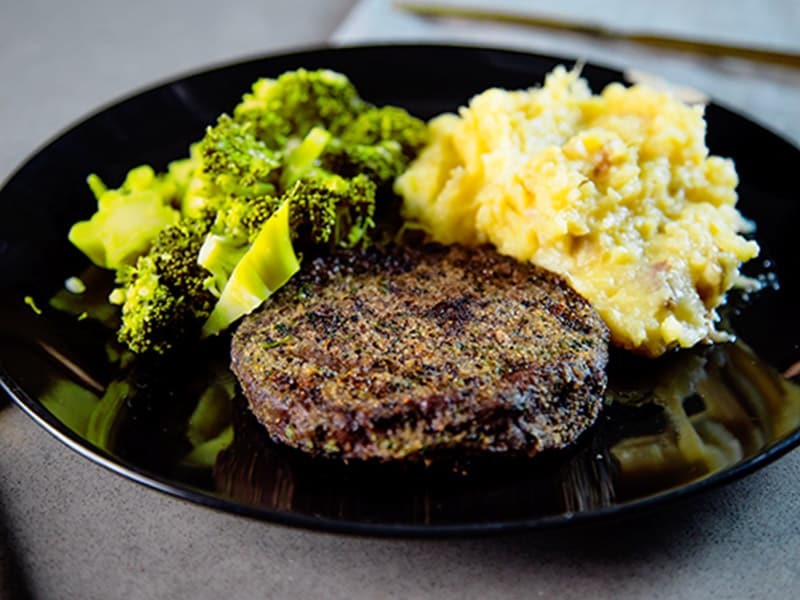 There are never any processed foods or artificial ingredients used in meals from Trifecta. This means you can feel confident chowing down and never feel guilty about what you’re eating. Everything is made from only wholesome ingredients your body will love. When meals arrive on your doorstep, they are never frozen. Instead, each meal comes in vacuum-sealed packaging. They’ll last two weeks in the fridge and over six months in the freezer. However, since the meals are never frozen in the first place, Trifecta does recommend storing them in the refrigerator as opposed to the freezer for the best taste. If you’re someone who doesn’t want the hassle of cooking, Trifecta will save the day. Instead of providing you with a recipe and all the necessary ingredients for you to prepare the dish yourself, you’ll receive pre-made meals. All of these meals are made from scratch like you’d make in your own home. The only difference is that they’re made in larger quantities since they have to meet customer demand. All you have to do is simply heat them up and then enjoy! You’ll find heating instructions with your meals, but it really is as simple as popping them into the microwave for a short time. There’s no need to skip meals or eat something unhealthy with you have the Trifecta dishes on hand. They’re quick and easy to prepare so you can have a tasty meal right when you need it. Trifecta really takes the hassle of eating. You won’t have to spend time meal planning or making trips to the grocery store. You won’t even have to spend ages prepping a dish and cooking in the kitchen. All it takes is minutes to put a healthy and nutritious meal on the table. Because Trifecta uses only high-quality ingredients for each of their meals, it should come as no surprise that everything is flavorful and delicious. All of the ingredients are fresh and they aim to take advantage of all the produce that’s in-season. There’s never anything process or artificial about it, which is a huge plus. Some of the favorite dishes include: the Coconut Kale & Chicken Breast, Tomato Eggplant Chicken, Rosemary Mushroom Turkey, and the Sun Dried Basil Beef Bowl. Other great dishes were the Mykonos Lentil Delight, Crunchy Sesame Cabbage Rice, Sweet Curry Brussels Lasagna, and even the Breakfast Muffins. Everything is so rich and delectable that you’ll forget you’re eating a meal that’s actually good for you. You don’t have to feel guilty about diving into any of the meals that Trifecta has created. So, how much is all of this going to cost? That will depend on which meal plan you choose and how many meals per day you’d like to receive. The Paleo Meal Plan starts at $108.43 per week. The Clean Eating Meal Plan starts at $147.90 per week. The Classic Meal Plan starts at $119 per week. The Vegetarian Meal Plan and Vegan Meal Plan both start at $113.90 per week. Shipping is always free as well, which keeps prices pretty reasonable when ordering from Trifecta. The a la carte options range in price based on how much you order. There’s also a $119 minimum for ordering a la carte items in order to maintain free shipping. There’s no minimum if you add a la carte items onto a meal plan purchase. If you’re looking for a simpler way to stick to healthy eating combined with high-quality, organic ingredients, Trifecta is your new best friend. Their meals include only the best ingredients, making them incredibly flavorful and delicious. There’s no guilty when you’re eating the meals they’ve prepared. Plus, with a rotating selection of dishes each week, you’ll never fall into a rut with what you eat. You’ll have the opportunity to try new things and expand your palate by tasting meals you’ve never had before. That’s always a huge plus!